Just 22% think that this is OK, according to a poll carried out by Claire Byrne Live. THE VAST MAJORITY of parents don’t want children under 14 to have smartphones, according to a new poll. Earlier this week, experts told the Oireachtas Children and Youth Affairs Committee that it should be “frowned upon” for parents to give a smartphone to children before a certain age. They were speaking in the context of the issue of digital consent. During the session, it was acknowledged that there is a problem of “peer pressure” for parents surrounding the issue of phones – and that some children might be bullied if they don’t have a smartphone. Last year Fine Gael TD Jim Daly attempted to bring in a bill that would restrict minors aged under 14 to own a mobile phone that has internet access. 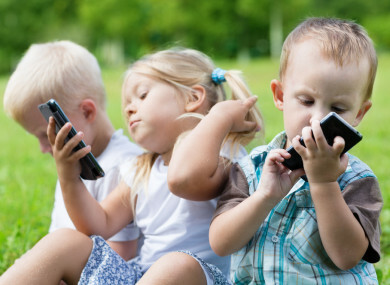 When the Claire Byrne Live show asked this week “should parents or guardians of children aged under 14 allow them to have smart phones?”, it found that the majority of parents don’t want their child owning such a phone. Email “66% of parents don't want children under 14 to have smartphones ”. Feedback on “66% of parents don't want children under 14 to have smartphones ”.